Roof Coating Services | Commercial Roofing | Homestead Roofing Co. If you want your roof to serve you well for many years to come, it’s important that you know how to take proper care of it. This means investing in repairs, maintenance, and even protective coating. If you’re in need of roofing service for your residential or commercial building in Northern New Jersey, Homestead Roofing can help. Our experienced roofing technicians have the training and experience necessary to provide you with comprehensive services. With more than 85 years in business behind us, we are fully equipped to help you with all of your roofing needs. A roof coating will protect your roof from being damaged over time by the sun’s harsh ultraviolet rays. This can help to extend the life of your roof and reduce the need for repair or replacement, which is both good for the environment and good for your budget. Many roof coatings can help to insulate your building by keeping heat from seeping through your roof into your building. This makes temperature control inside your building easier and reduces the need for wasteful HVAC use. If your area receives a lot of rain, adding a new roof coating is an effective way to prevent leaks and reduce the likelihood that your roof will be damaged by exposure to moisture. If your roof looks worn or old but is not damaged enough to warrant complete replacement, installing a roof coating will give it a fresh new look. 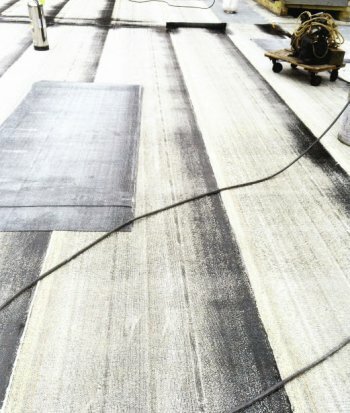 You can even change the color of your roof to enhance the overall appearance of your building. What Types of Roofs Can Be Coated? 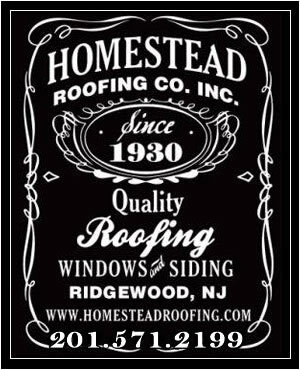 When you need a roofing contractor in the area of Northern New Jersey—including Essex County, Morris County, Passaic County, and Bergen County—it’s time to contact Homestead Roofing. When you work with our roofing team, you can depend on high-quality work, free written estimates, and fully certified guarantees for every project. We have experience working with all different types of roofs and roofing materials, from metal to asphalt shingles. 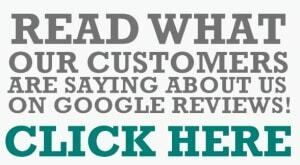 For a free estimate, feel free to call us today at (201) 444-2233.